One of the most inventive, unique, musically diverse, and relevant artists I’ve heard within the past few years, is singer/songwriter JJ Heller. Short for Jennifer Judy, JJ has wowed us time and time again with her heartfelt and poignant melodies that seem to transcend beliefs, values, races and morals. After her successful 2013 album Loved and her lullaby album I Dream of You in 2014, JJ unveiled her critically acclaimed new album Sound Of A Living Heart in 2015, featuring hit songs such as “Let Down Your Guard”, “Fully Known” and “The Well” to name a few. Famous for songs throughout her career like “Control”, “Who You Are”, “Boat Song” and “What Love Really Means”; JJ has stepped out of her comfort zone once again, presenting us with a well-crafted and thought out covers album (with a few original melodies thrown in for good measure as well!). With JJ covering lesser known tracks- these songs are not that popular in terms of radio, however most of these tracks obviously mean a great deal to JJ- and most were taken from original melodies from decades and decades ago; yet it’s evident through the passion and the emotion in these songs, that as these songs mean the world to JJ- her passion and enthusiasm most likely will translate to listeners and longtime fans as well, and these songs, even though we’re not that familiar with these original versions, will also mean a great deal to other listeners as well. A glance through the tracklist and you probably find that while there are some tunes that you are familiar with, there are quite a few that you won’t be familiar with. And that’s ok. Sometimes we’re stuck in our own musical bubbles, and only listening to our favourite genre; yet we do need to be stretched from time to time, and JJ certainly does that…for me at least. Out of the melodies that are ‘more known’, though “Make You Feel My Love”, made popular by Adele and originally written by Bob Dylan, sticks out to me the most. It’s exquisitely recorded, and is a piano only ballad, with JJ perfectly painting a picture of the immense love of Jesus for each one of us, especially in the refrain that ‘…I could make you happy, make your dreams come true, There’s nothing that I wouldn’t do, go to the ends of the Earth for you, to make you feel My love…’; while “Edelweiss” from the Sound Of Music, is also featured- brilliantly sung and recorded, as JJ makes this song her own, singing about the flower of the same name, that’s in abundance in the Alps. “Over The Rainbow” from Judy Garland and The Wizard Of Oz is another ‘classic’/’famous’ song featured, and is very soothing and lullabyish (in a very good way! ), while JJ also covers “Here Comes The Sun” (The Beatles) and “Bridge Over Troubled Water” (Simon And Garfunkel) which definitely need no explanation (except for me to firmly assert that these renditions are near flawless- JJ’s rendition of “Bridge” is almost comparable to Michael W. Smith’s!). Yet there are plenty more covers which are…well, more unknown. I’m not really knowledge about Mister Rogers (as all I’ve known about him is the information about the movie being made with Tom Hanks! ), yet JJ records this 2 minute intro “It’s Such A Good Feeling” to perfection, as the piano led melody provides us with a heartfelt and emotional admission and realisation that every day is a good day to be alive, simply because breath in our lungs means new opportunities and new risks to be taken each day. Jack Johnson’s “Better Together” digs deep into the notion that our lives are better together in community (JJ’s with her husband, other people with their spouses, single people with their friends and family! )- and while this song isn’t that popular, it really does sound like JJ’s style, as she earnestly imparts that we can lean on each other in times of trouble. While JJ also covers a silly song (“Stay Awake” by Julie Andrews from Mary Poppins) and a happy relationship song (“L-O-V-E” by Nat King Cole, about what love actually means for each of us at its core! ), and explores more and more about relationships and our search for someone who can truly love us as we are (“Till There Was You” by Sue Raney, and “I Will” by The Beatles). JJ even re-records “Moon River”, probably the most famous song from Audrey Hepburn- which is a highlight, even though the track is a tad long at just under 5 minutes. Even though JJ succeeds at her covers, it wouldn’t be a JJ Heller album without scattering a few original songs here and there. And boy, does JJ succeed here. “Hand To Hold”, also led by keys like all of the covers, is dedicated to her children, and in some ways is God singing to us, as JJ powerfully declares over us ‘…may you never lose the wonder in your soul, may you always have a blanket for the cold, may the living light inside you be the compass as you go, may you always know you have my hand to hold…’, while “Paving The Runway” is a song of inspiration, hope and encouragement, as JJ lets us know that even parents can support their kids in their dreams- you never know which of the new generation will change the world in a massive way- so parents do need to pave the runway, so to speak, for their kids to experiment and also flourish with whatever gift God has given them. The album ends with the stirring and anthemic “In The Morning”, as JJ give us reason to keep on going through this life, letting us know that all of our troubles and our pain will disappear and all will be well in the morning. It’s a simplistic song and maybe a tad naïve, however JJ’s passion and dedication seeps through here, and makes me love the track all the more. 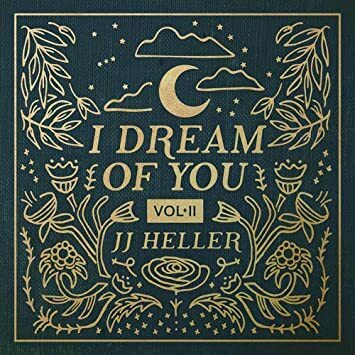 As JJ Heller reminds us through these 15 inspiring melodies what it means to be alive, to have our hearts beating, and to find meaning and purpose in the big important things in life; this covers album is not to be missed by anyone- it doesn’t matter what genre you enjoy; JJ Heller’s sheer honesty and realness is sure to inspire no matter who your favourite artist is- and whether you love JJ’s covers or not. One of my favourite cover albums ever since Avalon’s Another Time Another Place; well done JJ for a well written and recorded album! Can’t wait for your next studio project!